Dubai is the city of opportunities. It is one of the few cities in the world where the questions is not “What will I do during a trip in Dubai?” But, “Will I have time to do all that in my trip in Dubai? !” Tourist attractions in Dubai are various and plentiful. In fact, they are so much so that you will probably have to prioritize! Should you start with swimming with sharks, inside the largest mall in the world? Or, should you start with skiing down snowy hills in the world’s largest indoor snow park? In a feat to accomplish the impossible, we have tried here to gather the must do list of Dubai. In order to help you make a check-list and see the top tourist attractions in Dubai this summer. The city of impossibilities will give you a chance to go skiing in the middle of the summer, in the middle of the desert if we might add! 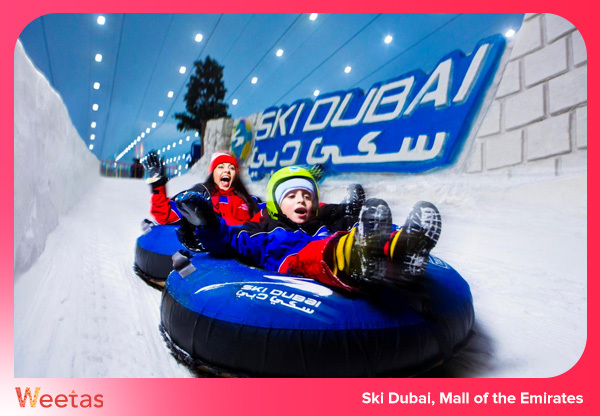 Ski Dubai is situated inside the Mall of the Emirates. 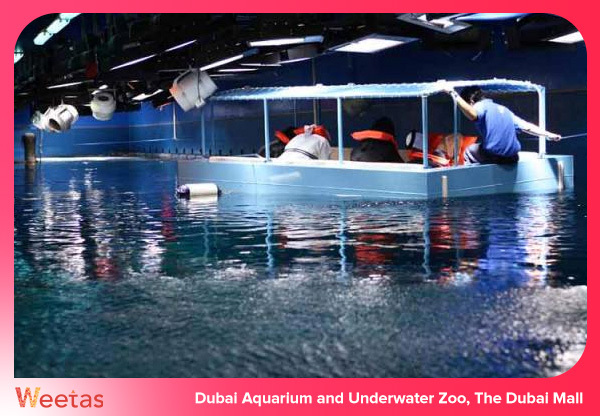 It is by far one of the most revolutionary and thrilling tourist attractions in Dubai. You can build a snowman, play with penguins, or explore snow caves in Ski Dubai. This family-friendly tourist attraction offers something for every generation. If you are the more adventurous type you can ride a frozen zip-line or catch the traditional chairlift to the top where you can ski down snowy hills. There is even a ski school inside this snow wonderland; you can learn how to ski if you want to do more than play. Although, who would say no to playing in the snow in the middle of the summer?! Watch the tallest performing fountain in the world dance with water, light and music. This magnificent performance is not to be missed! Powerful water jets are strategically laid out over an extensive area that is equal to the size of two football fields at The Dubai Fountain in Burj Lake, The Dubai Mall. Every day starting 6pm the show starts, every 30 minutes a song starts and the fountain starts dancing in sync to the music. The water jets are colorfully illuminated and wonderfully synced. This visual masterpiece features five circles of jets which shoot water to impressive heights that can be seen from over 30km away as well as numerous WET super lights and more than 20 color projectors. This spectacular fountain jets up water as high as 140 meters in the air. No wonder it has become one of the most popular shows in Dubai! Moreover, you can actually experience this unique tourist attraction up close with the Dubai Fountain Lake Ride. This ride allows you to set sail on the lake itself during the show. Or, you can choose to stroll on the 272 meters floating platform, The Dubai Fountain Boardwalk is just 9 meters away from the fountains. 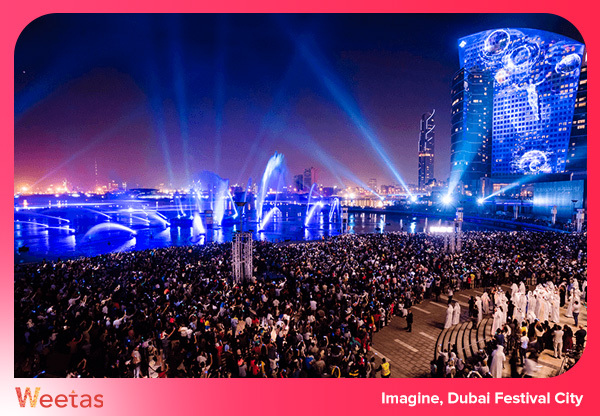 Either way, The Dubai Fountain promises a magical evening. It is definitely one of the must visit tourist attractions in Dubai. 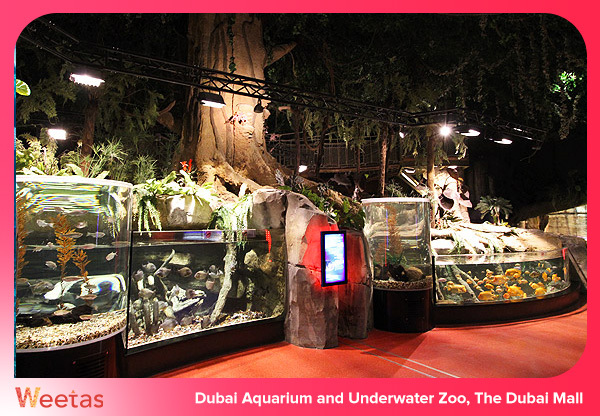 Dubai Aquarium and Underwater Zoo is one of the largest and most magnificent aquariums in the world. The humongous 10 million-liter tank at the aquarium encompasses more than 33,000 aquatic animals as well as the most impressive group of sand tiger sharks anywhere in the world. 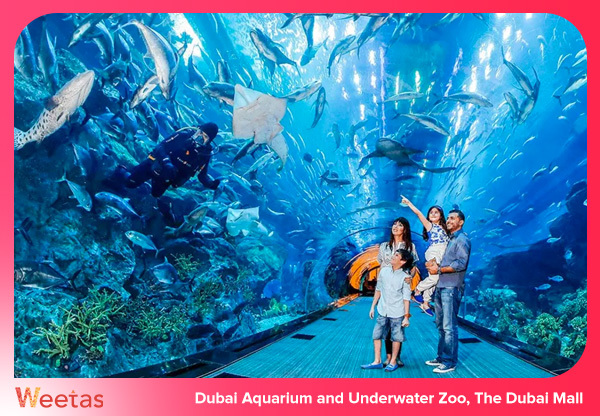 Located inside the largest mall in the world, The Dubai Mall, the aquarium is home to 140 species of sea life. You can spend a magical afternoon strolling through the 48-metre tunnel, with the aquarium enveloping you from overhead and around. With the impressive sea life surrounding you will feel like you are walking at the bottom of the ocean! If you feel like playing it safe you can complement the tour by riding a glass-bottom boat tour. Or, if you feel more adventurous, you can get wet in a snorkeling cage and go swimming with the sharks. Renowned for being “a show like no other”, Imagine certainly delivers! This one of a kind show in Dubai Festival City is a 360-degree vision that aims to establish a new benchmark for tourist attractions around the world. 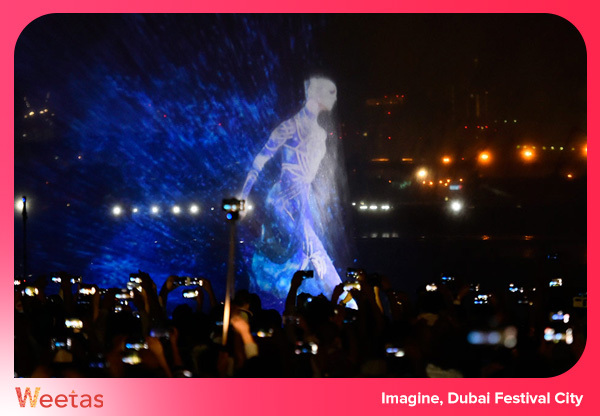 Spanning over an area of 20 acres across Festival Bay and Dubai Festival City Mall, this spectacular show runs daily playing diverse performances. Combining the latest technologies in laser, light and sound, this tourist attraction has earned two Guinness World Records. 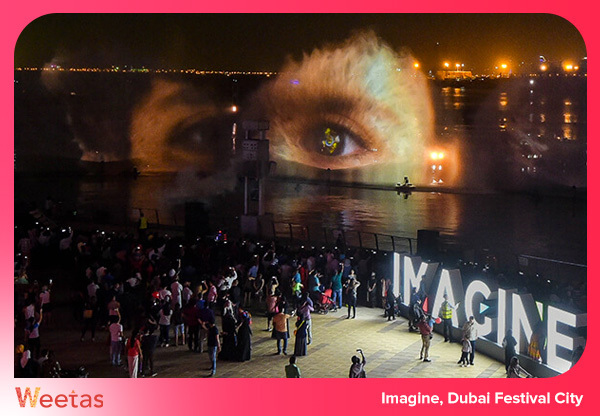 Imagine mixes 360-degree fountains, powerful lasers, record breaking water-screen projections, colorful LED lighting, and a towering video mapping projection to produce one of the most technologically innovative shows in the world. So, if you are going to Dubai, make sure to catch the show like no other! 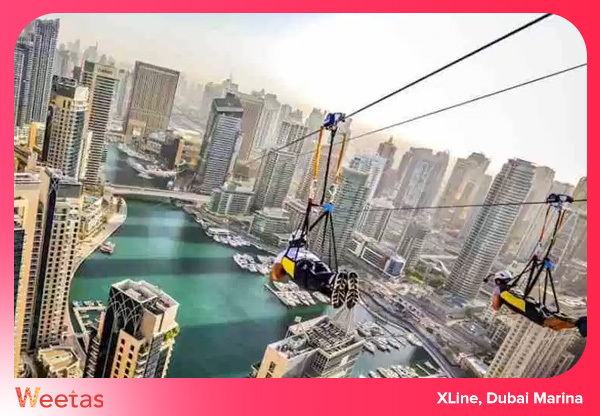 Set in Dubai Marina, XLine is the world’s longest urban zipline as well as one of the steepest and fastest ziplines around the globe. Xline is one kilometer long, with an incline of 16 degrees and an average speed of 80km/h. It is one of the best tourist attractions in Dubai for the adventurous traveler. If you really want to admire Dubai’ skyline, there is no better way! Zip along the line as you enjoy views of extravagant Dubai. And the best part is that you can zip along with a partner. There are two concurrently running ziplines, so two can share this marvelous experience. And don’t worry about missing a second of it because with a camera mounted to every participant’s helmet, you get to relive the action. Tourism Tourist Attractions in Saudi Arabia: Where to go in the GCC’s largest kingdom?